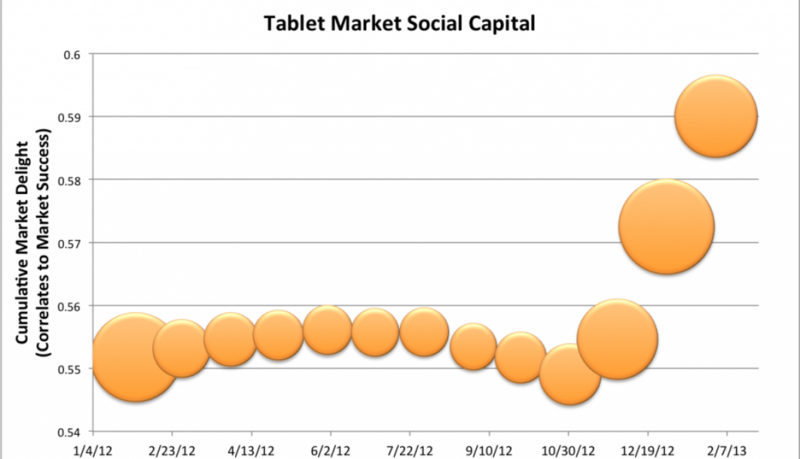 IDC and the WSJ just reported a huge boost in tablet sales world wide. Our Social Capital Metrics on the Tablet market support the rationale for this jump. 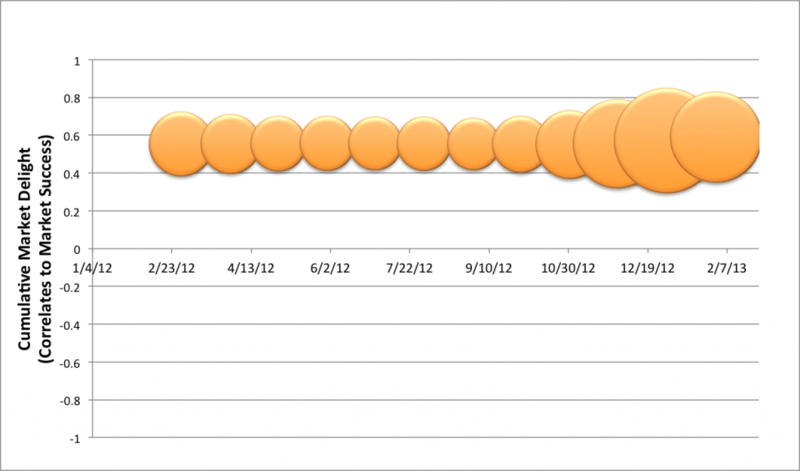 You can see the boost in consumer driven buzz volume in Q4 2012 from the graph below. Part of this is seasonality but part of it is driven by a real increase in the quality of tablet experiences being offered at multiple price ranges, meaning that from the biggest iPad to the simplest Kindle Fire, consumers are finding a tablet to fit their aspirations. When we zoom in on the same data, we can see that the delight levels jumping significantly as consumers report their holiday purchases actually delivering on expectations. We continually find that our metrics of Social Capital are excellent leading indicators of market performance. You can check out past posts here and here on our proven predictions on Apple’s market performance. Let us know if Argus can help illuminate your future strategic decisions.